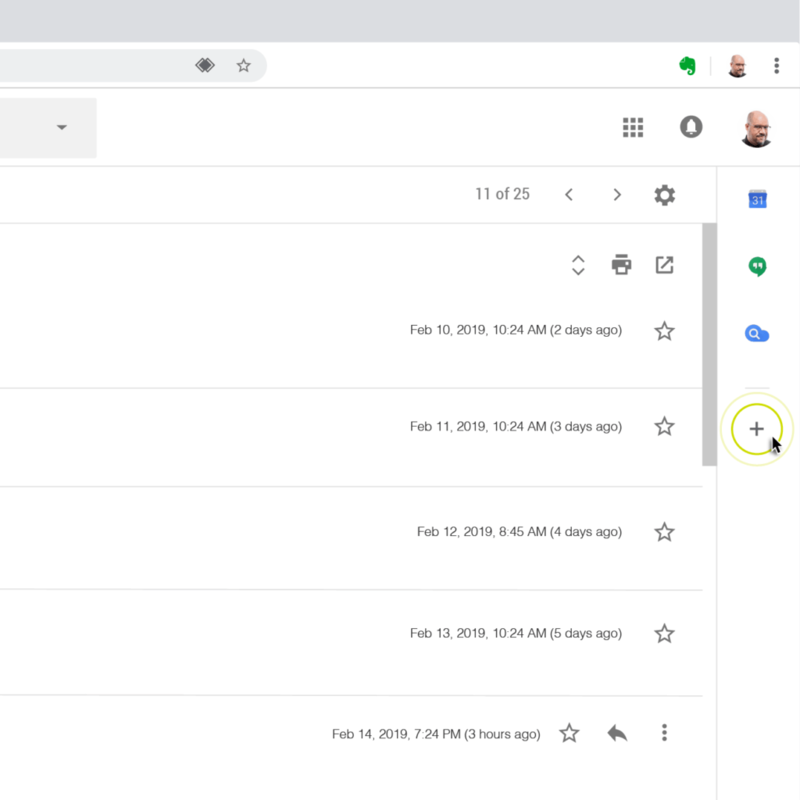 When was the last time you scrolled through your inbox trying to find a particular email with important details—but couldn’t easily find it? If you’re like most people, your life is buried under inbox overload. Despite your best intentions, emails keep coming…and coming…and coming. It’s easy to get overwhelmed when you’re faced with hundreds of unread messages. You know the information you need is somewhere in that pileup, but you don’t know where. Wouldn’t it be great if you had those emails organized in Evernote with the rest of your important information, so you can find them fast and take the next step? The new Evernote for Gmail add-on allows you to select the important content from your inbox and place it in a note. 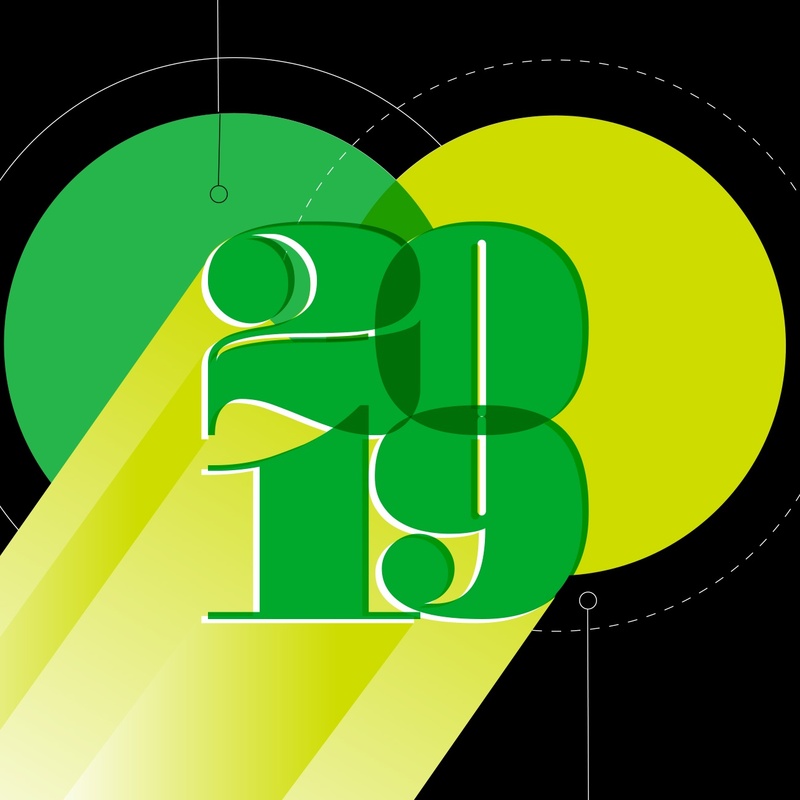 As an Evernote user, you know how powerful a note can be: you can organize, edit, and add other information to create a document that makes sense—however you need it to make sense. 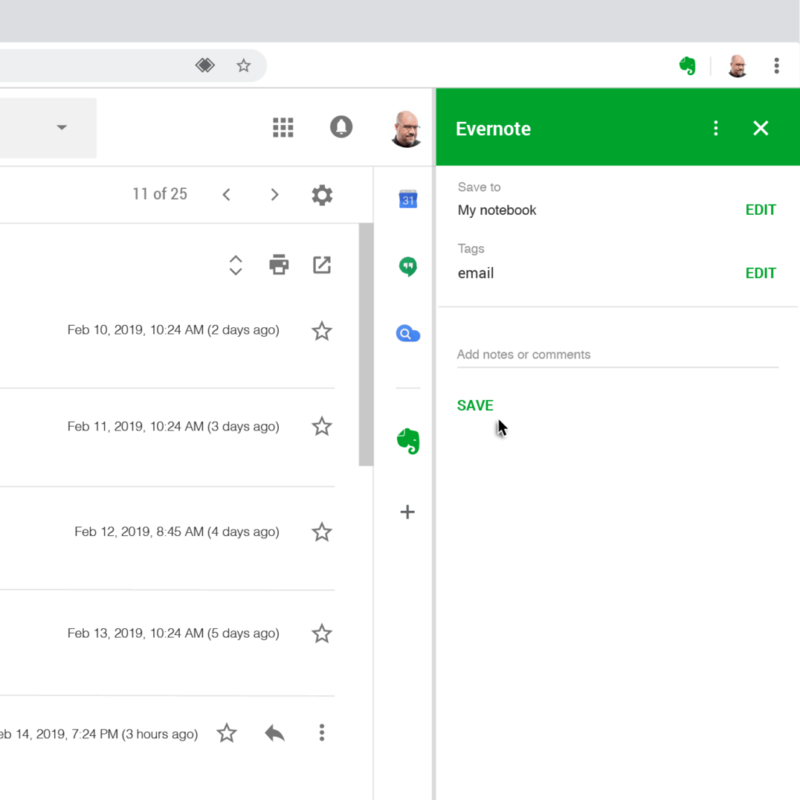 You can also take your existing notes and attach them to outgoing emails, so you can share your thoughts without having to move them out of Evernote. The note is shared as a public link, so anyone who receives the email can view the contents of the note. 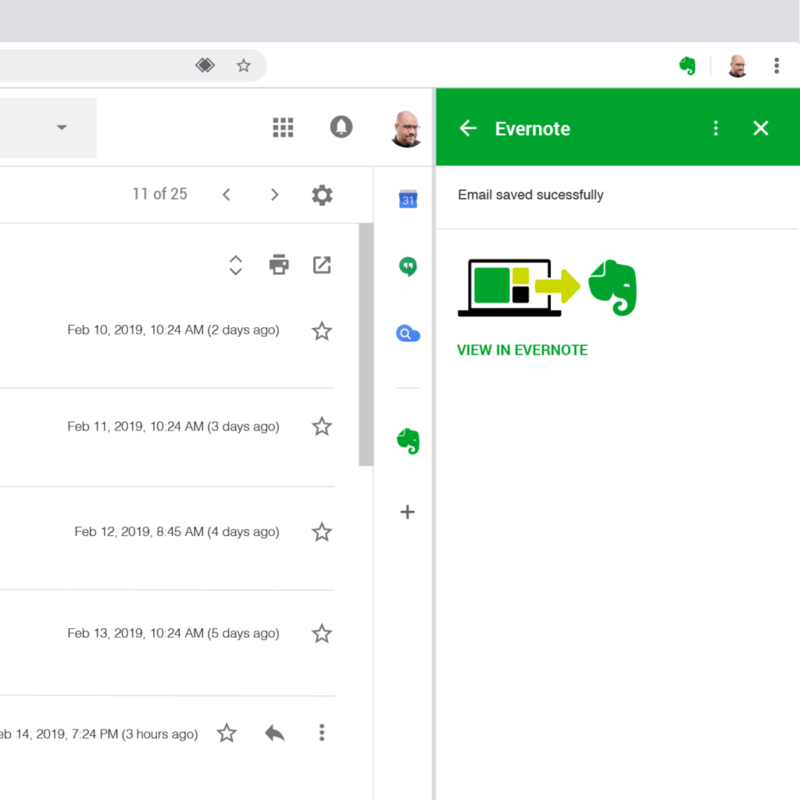 Install the Evernote for Gmail add-on from the Gmail Marketplace. Once installed, you’ll see an icon for Evernote in your sidebar. Find an email containing important information you would like to put in Evernote and click the Evernote icon. From here, you can save the email as a note to your preferred notebook, and add tags or comments if you’d like. You can even change the note’s title in Evernote. Getting bogged down by multiple replies in an email thread? You can select individual messages so you can separate what’s important. 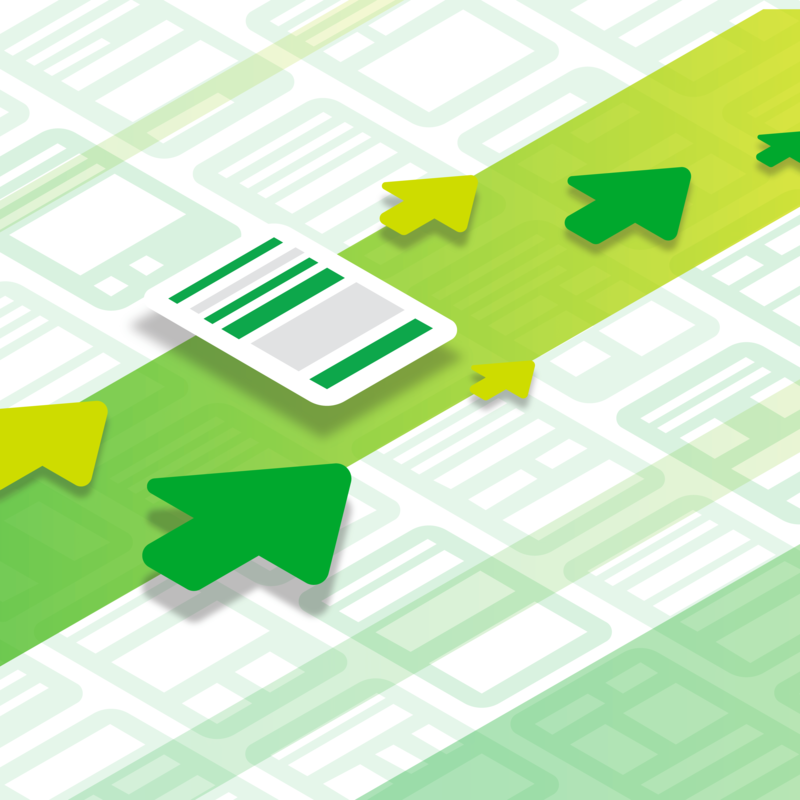 Now that you’ve saved an email, you can view it in Evernote. 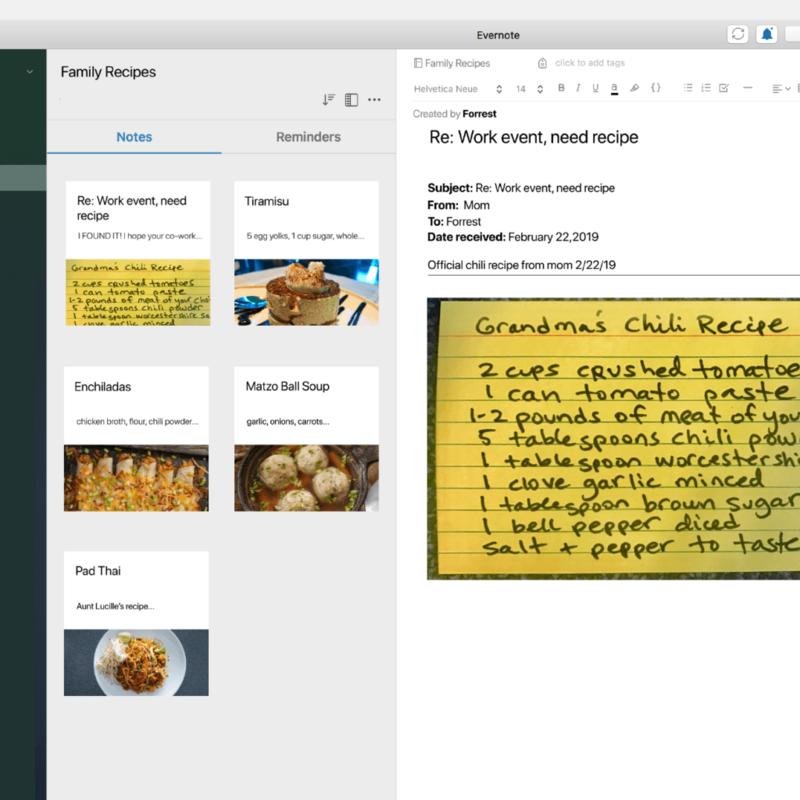 In Evernote you can add text, images, and more. 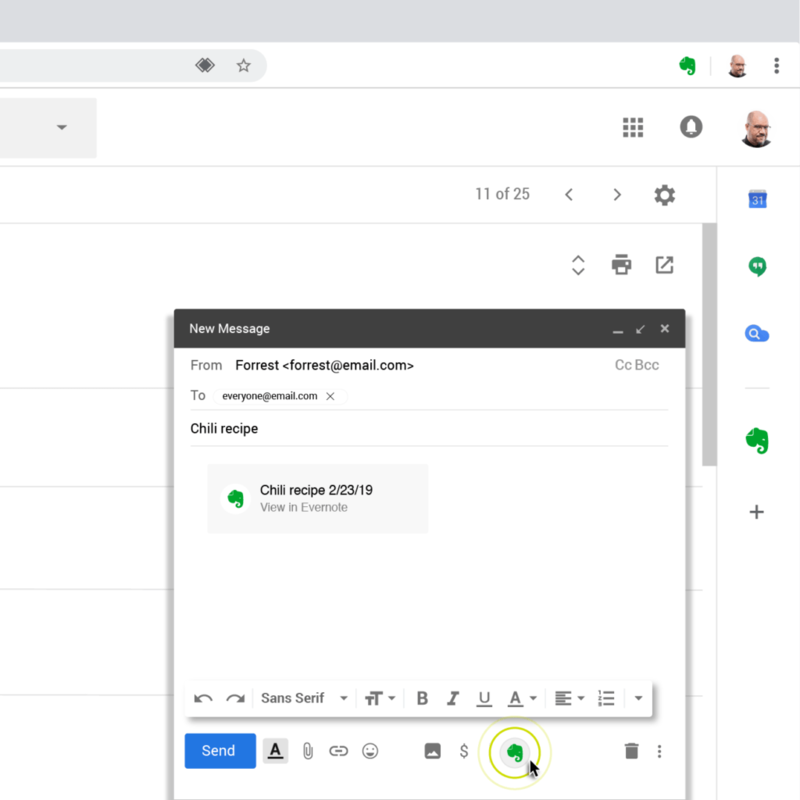 Once you’ve finished your note, you can return to Gmail and insert a public link to your note as you compose a new message. With so much happening in your world—and your inbox—it’s great to have a dedicated place where you can enjoy the freedom to think, plan, and create. 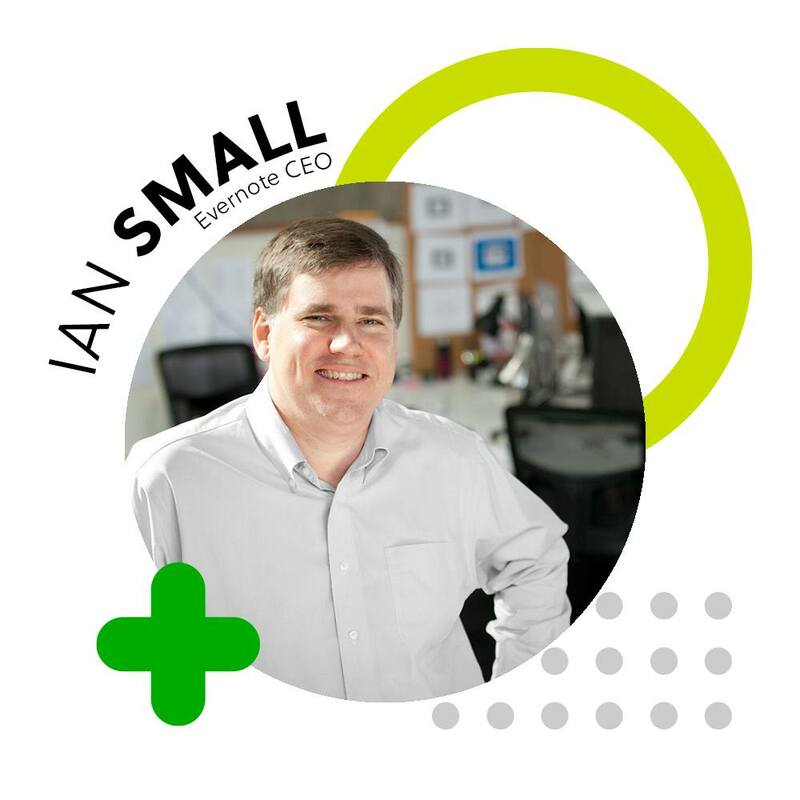 We hope you find the Evernote for Gmail add-on a useful addition to your workflow. Evernote’s new templates feature makes it easy to create great notes quickly, without having to start from scratch or copy-and-paste. See how.